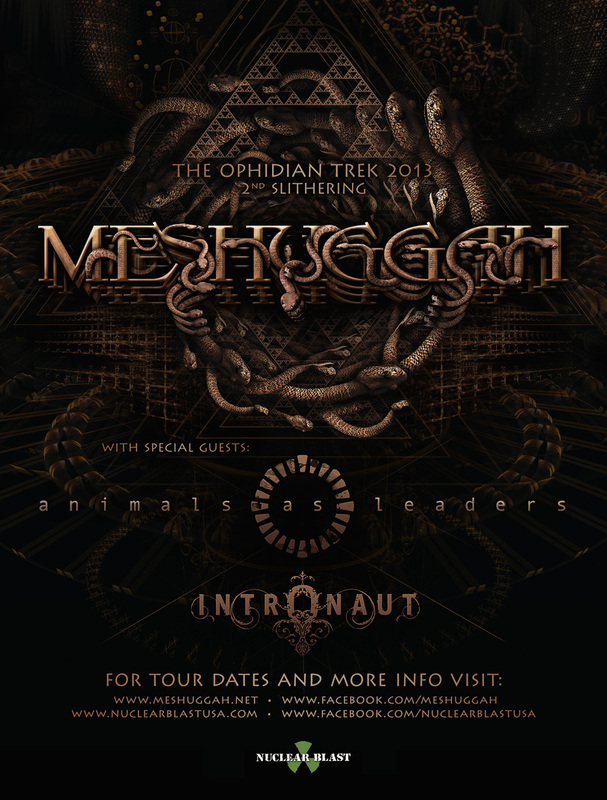 The five piece Swedish metal outfit known as Meshuggah have officially announced the second leg of The Ophidian Trek tour. The tour will be taking place in North America. They will hit the US February 11 and will end their journey across the country on March 3. Animals As Leaders and Intronaut will be supporting them throughout the entire tour. Check below the jump to check out a full list of dates to see if they will be hitting a city near you. Also be sure to check out the band’s Facebook page to RSVP and purchase tickets once they go on sale.